In our desperate struggle to pimp a snack before the options were taken up, we turned to the (apparently) sexist bar of gorgeous chocolate that is… the Yorkie bar! So, armed with nothing but money, the junior pimp crew set out to do something pretty basic. 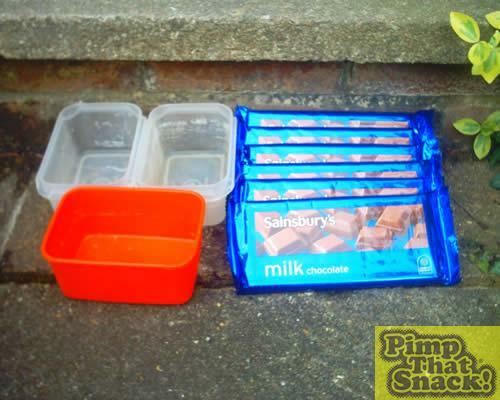 Break up chocolate with fellow Pimpers, dividing the chocolate equally between you. We found that this was a fun step if you did it in a race. When doing so, melted chocolate gets stuck to your hands and you are forced by the cruelties of nature to lick it off. 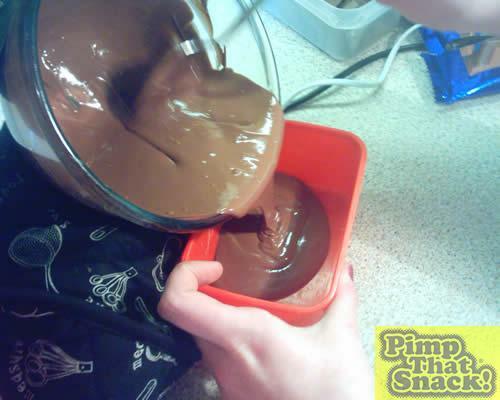 Place first Pimper's chocolate in a glass bowl and place inside a saucepan of boiling water. We had a slight mishap whilst doing this. I, the ringleader, held my mitt too close to the gas flame and it caught fire! Let this be a lesson to you: uh… Don't catch fire. It's bad for you. 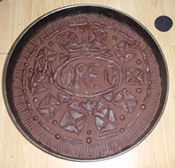 Pour chocolate into moulds and make sure the base is smooth. Smooth just like a pimped snack should be! If it isn't smooth, tap the container continually on the side until the lumps disappear. 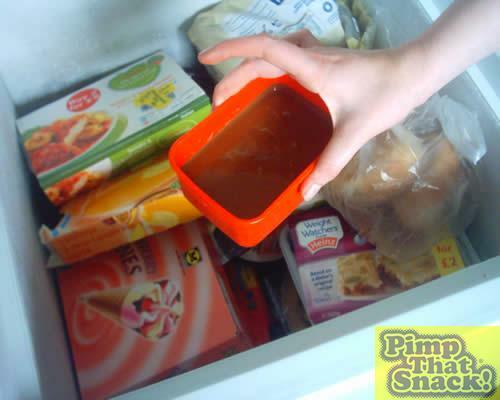 Place the containers inside freezer to set. TIP: Place on top of somebody else's low calorie dinner to absorb the excess calories. Repeat steps 2, 3 and 4 for other segments. When you're done, take advantage of the opportunity to lick the dregs of melted chocolate that were 'accidentally' left behind.